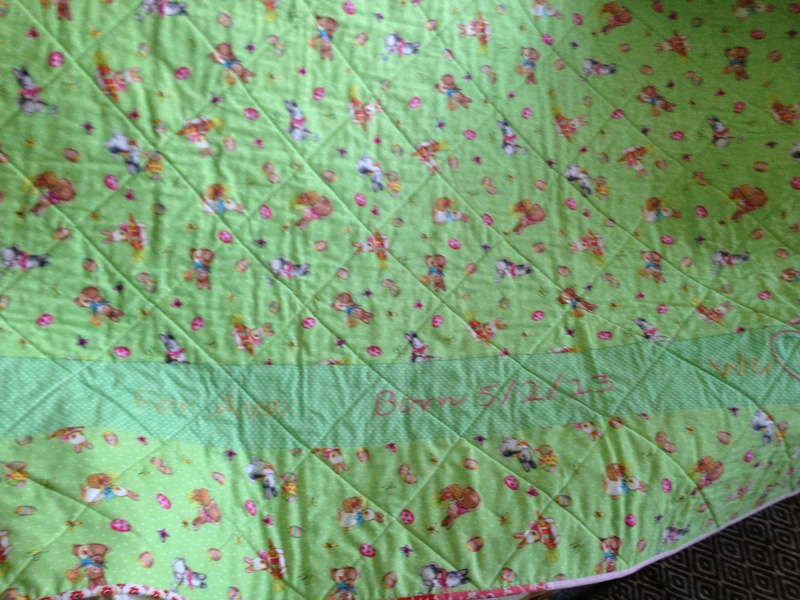 And on the back I did some embroidered text including Ava’s date of birth. 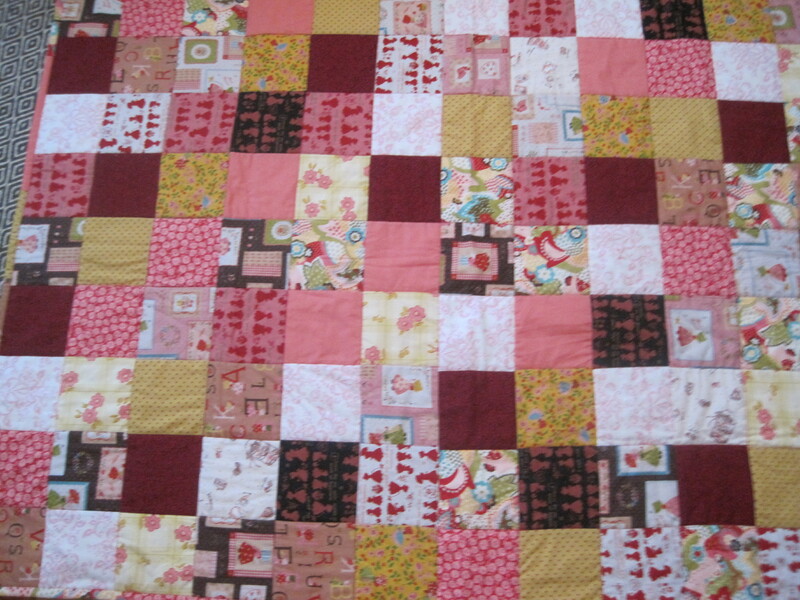 This was made using colourful prints from a range designed on a locomotive theme. As a rule I don’t buy matchy matchy fabrics. I don’t do I? It somehow doesn’t satisfy my hunting and gathering instincts. 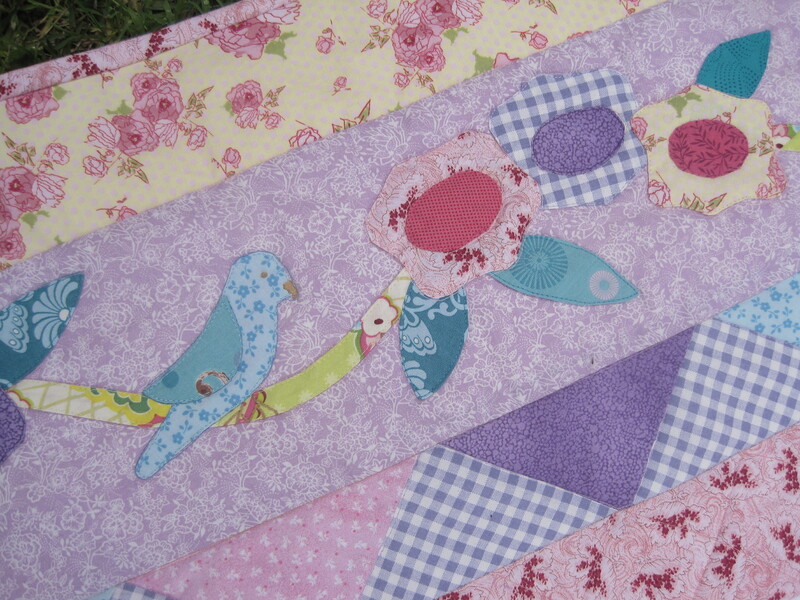 But these really appealed to me and I had bought them for the stash. 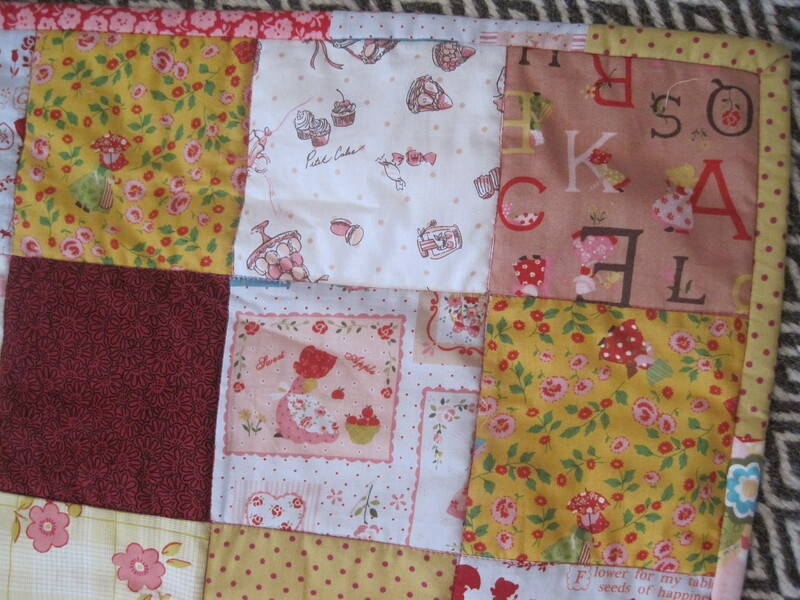 I wanted to do a quilt fairly quickly so I used them in a quilt of simple squares which I think made the most of the prints and colours. Some of the rolling stock couldn’t be cut into squares because they weren’t complete motifs as they were close to the cut edge of the fabric. 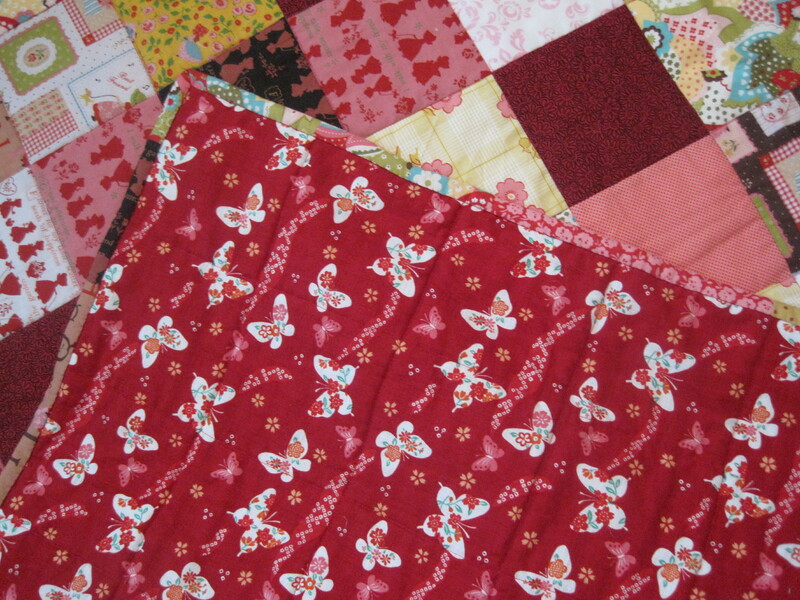 But I managed to join them together into a strip which I used at the top of the quilt. 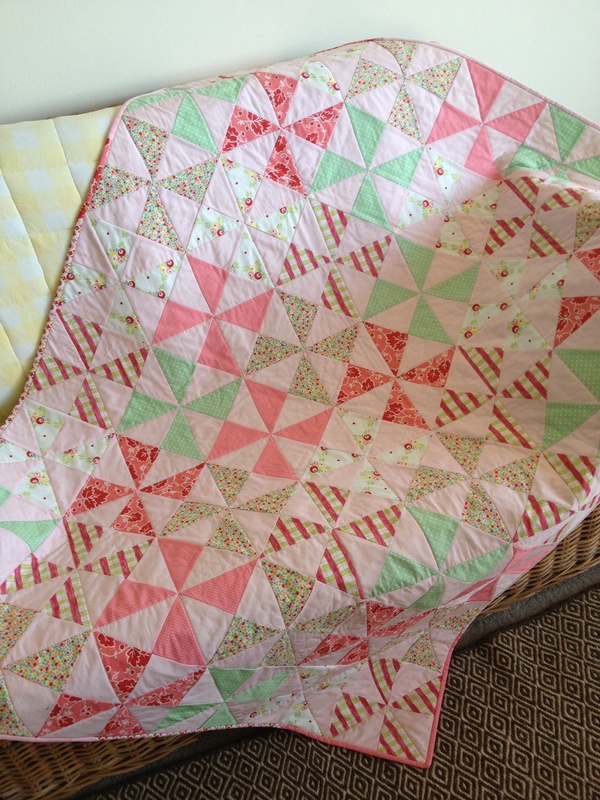 Simply quilted around the squares then finished with a scrappy binding. 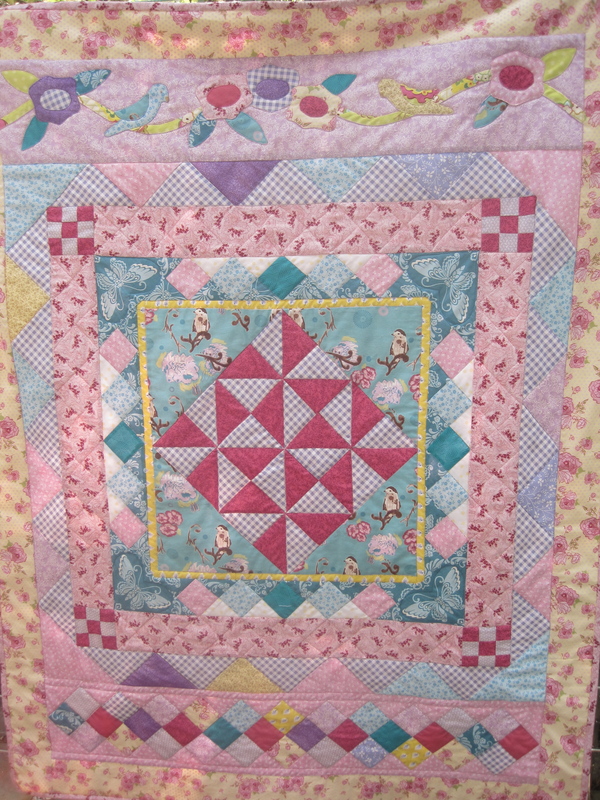 Another child’s quilt in simple squares with a scrappy binding. I am still having trouble with blogging. I am trying to blog from my ipad and iphone as my recent photos are on them. Seemed a good idea but when I look at the blog they appear quite different on the different devices. Not all the posts were appearing. But I am determined to make it all work!